I am always happy to teach individuals and groups. 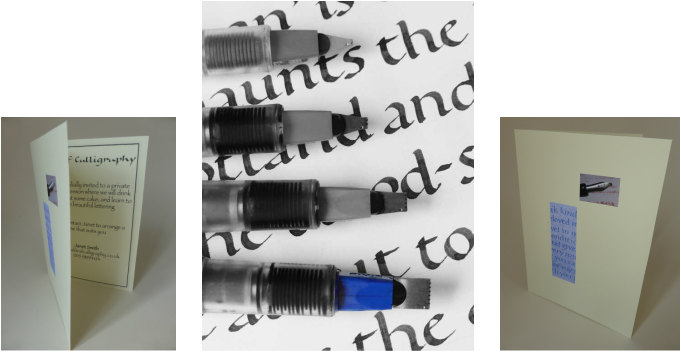 The lessons can vary from simply wanting to have an enjoyable taster through to more detailed sessions for the more advanced calligrapher. I can host sessions in my studio or travel to other venues - whatever works! A calligraphy lesson can make a fantastic gift for a friend - for which I'm happy to provide a beautiful gift voucher. I am located in beautiful North Wales - please contact me if you'd like to know more.